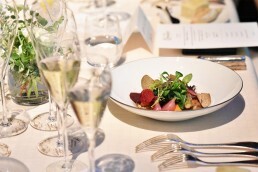 Momentous celebrations of a 200 year legacy, and activating VIP media and key opinion leader engagement. 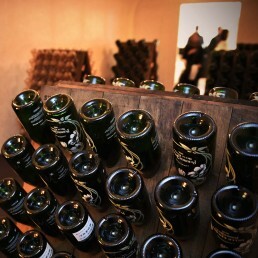 Since 1811, the House of Perrier-Jouët has created wines with craftsmanship and a unique signature created and guarded by only seven Cellar Masters. 2017 marked a critical year in which the House celebrated two centuries of heritage, and central to its activities, it proudly introduced the Belle Epoque Vintage 2011 in Japan. 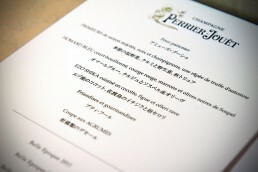 Ad-comm obtained private access to Beige, Alain Ducasse’s Michelin star restaurant in the Tokyo’s iconic Chanel building, known for its most coveted tables; through décor and branding elements, Beige was transformed to represent the unique and luxurious world of Perrier-Jouët. 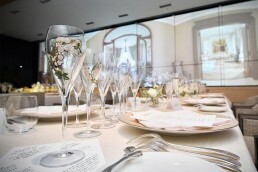 A theatrical reveal combining service, music and lighting was executed to create a highly climactic evening and launch of the Belle Epoque 2011. 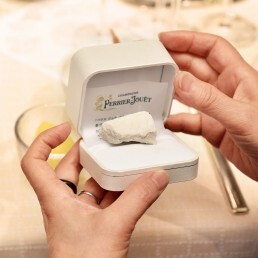 While enjoying a Champagne paired dinner, guests were left spellbound by an unexpected and complete transformation of their surroundings. 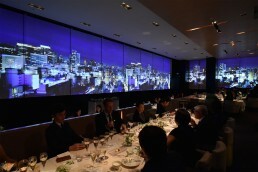 Cued by dramatic music and lighting, the stunning views of Ginza were replaced by a projected tour of the Perrier- Jouët House on the venue’s expansive windows. We utilized cutting edge, never-before-seen window lamination technology to convert Beige’s windows to “smart windows”, dramatically taking them from clear transparency offering breathtaking Tokyo views to HD ready film screens. 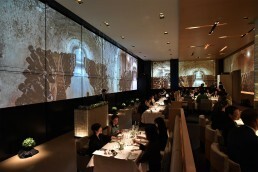 A narrated virtual tour accompanied the projection, taking guests through the beautiful vineyards and garden, right into the cellars where the magic of the champagne making occurs. 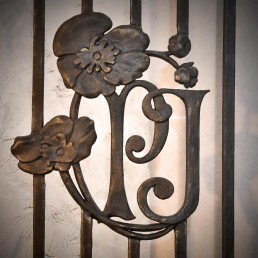 A memorable evening was achieved and guests left with the desired communication message of Perrier-Jouët’s two centuries of heritage and its unwavering dedication to producing champagnes of uncompromising quality.